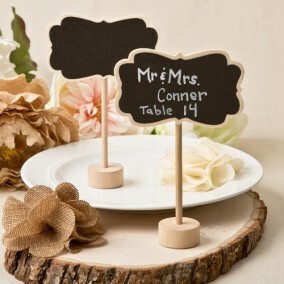 These stunning roses will add a perfect homespun touch to a vintage themed event. 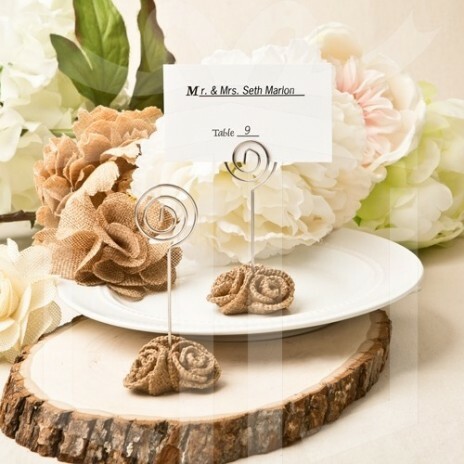 Adorn your tables in autumn shades of browns, tans, ivory and sepia and then smother them with roses made from natural burlap. 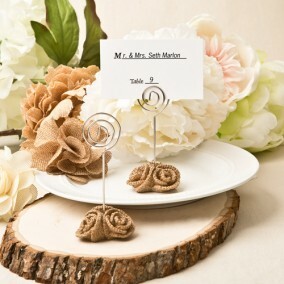 Our place holders are crafted from poly resin and feature three burlap roses in a circle. A silver wire extends upwards from the middle offering a coiled loop at the top to easily hold a placecard or a special photo. 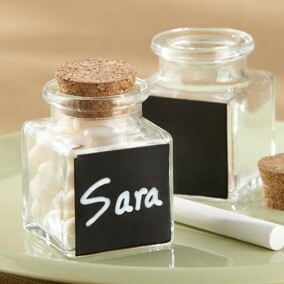 Use them to display your event menu and perhaps a personal note for each guest! 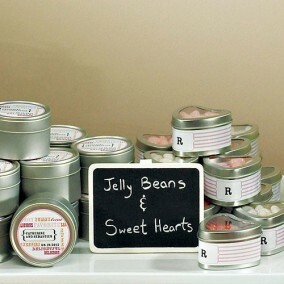 They will be enchanted and are certain to take them home as favors to treasure. 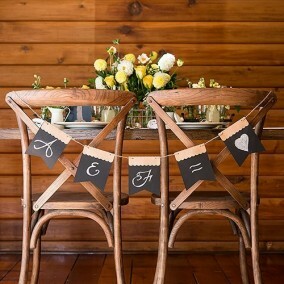 A lovely and unusual favor for a vintage themed event!